Doctors, nurses and MPs from both sides of the Commons united yesterday to demand justice for NHS whistleblowers who were ousted from their jobs after raising the alarm over poor care. The new head of the health service faces growing pressure to reopen the cases of six former staff after The Times revealed that they had asked the government for a public inquiry into how they came to be punished for speaking out. 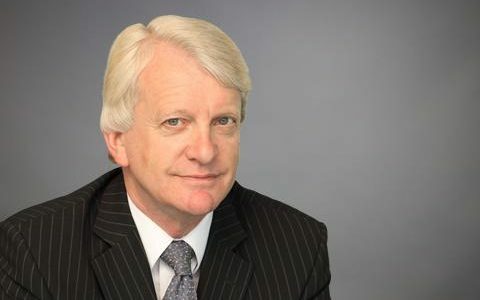 Five were recognised as whistleblowers during their employment tribunals and the medical skills of the sixth were not in question, his trust’s chief executive accepted. None has returned to their job. 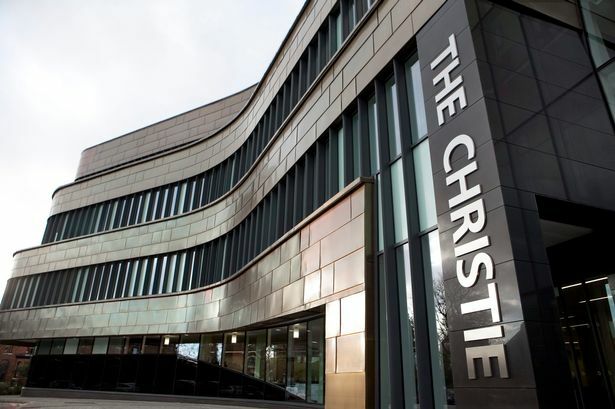 A former director of The Christie has told a court how she was imprisoned in a room and subjected to a verbal onslaught at the hospital. Tracy Boylin, who was human resources director at the world-renowned cancer treatment centre in Withington, Manchester, alleges she was harassed over two months by an external HR consultant. 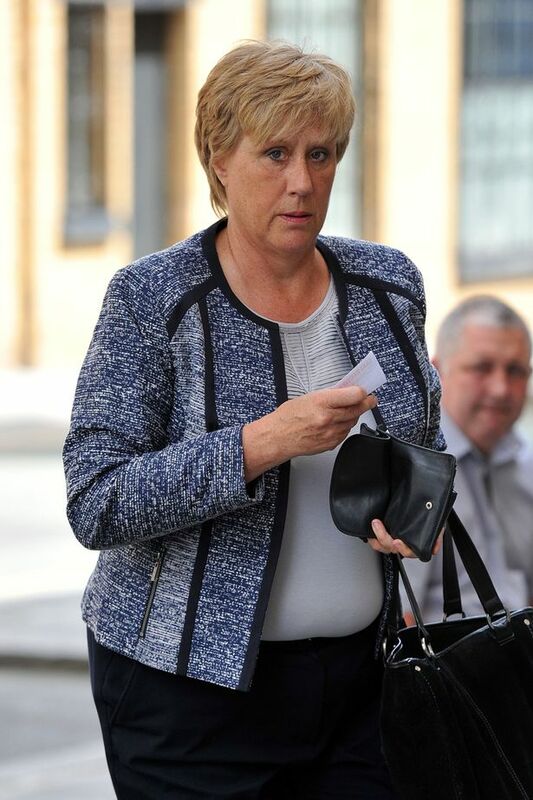 She has started proceedings against the hospital at Liverpool High Court where she is seeking damages of £300,000. 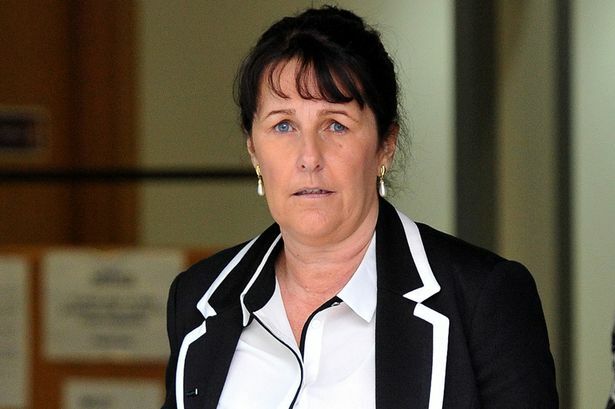 Ms Boylin, 49, from Bolton, claims she was kept in a 6ft by 10ft room by external consultant Christine Pilgrem, who had been brought in to review the trust’s top management. She claims she suffered a stress-related, psychiatric injury as a result. The former director alleges she was bullied and subjected to verbal abuse on five occasions between September and November 2010. Matters came to a head on November 10, when the two women met to iron out ongoing issues between them and during which the alleged ‘imprisoning’ took place. Under cross-examination by David Eccles, representing the hospital, Ms Boylin accepted that she had met with Ms Pilgrem from 9.30am to 5pm that day, breaking off to attend a directors’ meeting in a different room. Ms Boylin claims she was ‘imprisoned’ during both her meetings with Ms Pilgrem. She told the court: “She stood up, towered over me and said ‘You are going ****ing nowhere and don’t **** with me’. The claimant said she sat down as she felt her legs ‘going’ during a ‘heated’ 20-minute exchange. She added: “It was like someone turned switches off inside me”. Mr Eccles said Ms Boylin had later told her GP, a psychologist and an occupational health expert that she was ‘locked in the room all day’. Ms Pilgrem, who no longer works for the hospital, denies any wrongdoing. Lawyers for the hospital argue that the exchange between the two women did not constitute harassment. My reason for writing to all is to ask that you all get behind a very simple campaign, all I ask is that your willing to have your name added to the attached letter in support of whistle blowers. I’d ask that you share this email amongst as many as possible in order to get as much support as possible for brave people whom have spoken out often at great personal cost to themselves in order to protect others. Kyle Keen was just 16 months old when he was shaken to death by his stepfather. LIFE has been a whirlwind for Dr David Drew – although he might not admit it. “Well, it’s pleasure and pain isn’t it?” he said. “I see it like this – I lost my three brothers to accidental deaths and that was at a time when I was bringing my own children up. “I had to live with the sadness of my brothers’ deaths, but pair that with raising my children. “That’s the reality of life. It’s a mix.” And throughout his life, resilient Dr Drew has certainly had the best of both worlds. There’s been the pleasure – his training in Bristol, running medical camps in the likes of Thailand and Nigeria and landing what he considered, at first, a “wonderful job” at Walsall Manor Hospital in 1992. But then came the pain, which he said began when he spoke out about the death of a young patient in 2006. Kyle Keen was just 16-months-old when he was violently shaken to death by his stepfather, Tyrone Matthews. But one week before his death, Kyle had received treatment at Walsall Manor – where bruising had been spotted on his body. Despite this, the youngster was sent home by another doctor and information was not passed on to police or Walsall Council’s children’s services – leading to no action being taken. “It was an avoidable death,” said Dr Drew. “The hospital covered up everything about Kyle’s death, they refused to take action or any remedy to rectify the mistakes. “A serious case review [in 2009] admitted that Kyle was unlawfully killed following catastrophic failings at the hospital.” The head of the paediatric department at the time, Dr Drew became a whistle blower and raised concerns over the death. He said this put him on a collision course with senior NHS management. It was in December last year – seven years following Kyle’s death – that Walsall Manor Hospital agreed to finally launch a thorough review into Kyle’s death. Dr Drew’s book – Little Stories of Life and Death – is dedicated to Kyle. The youngster’s father, Rob, has been in contact with the doctor since they met in September 2012. For Dr Drew, who moved on to become a clinical director, things went from bad to worse at the hospital. He grabbed the national headlines when he was sacked from Walsall Manor Hospital in 2010 for emailing quotes from the Bible to colleagues. Although insisting he had sent the prayer of St Ignatius of Loyola, the founder of the Jesuits, to boost morale at a time of “cost-cutting” at the hospital, he was dismissed and lost his claim for unfair dismissal at an employment tribunal. Employment Judge David Kearsley agreed that Dr Drew’s religious language had been inappropriate in a professional business setting. Two subsequent appeals against the ruling were also dismissed. His experience – along with allegations of bullying and understaffed wards at the hospital – have all been written down in Little Stories of Life and Death. Little Stories of Life and Death was published by Matador in April 2014 – and David said it has been “selling like hot cakes” with positive feedback from as far afield as Australia. He explained that the book also opens people’s eyes to how the NHS works. For now, David looks forward to enjoying his retirement with wife Janet – whom he married in 1971 – and spending time with his four children and nine grandchildren. But he added that he has “another year or two” in him of talking and writing about his experience. The group wants Simon Stevens, the new head of the NHS, and Jeremy Hunt, the health secretary, to assure 1.4 million health service workers that they can raise concerns without fearing for their careers and livelihoods. Whistleblowers can be difficult people and uncomfortable colleagues. They may act from a number of motives, not all of them noble. Their actions can cause immense embarrassment and sometimes even institutional damage. It is certainly understandable that their employers will rarely regard them with warm feelings of affection. In an imperfect world, however, where mistakes and worse are made and then obscured to save faces or cover the derrières of those in power, where vested interests have no desire for the public to know the truth, whistleblowers are often essential. Indeed, we may want to encourage them to come forward with what they know. Instead they often find themselves facing disciplinary action for an unauthorised disclosure of information and for breach of contract. This was certainly the case in the National Health Service until very recently. After the shocking revelations of what had being going on at the Mid-Staffordshire hospital trust, revelations we should remember that originated in whistleblowing by staff, the health secretary, Jeremy Hunt, took action to protect people who went public with their concerns. So-called “gagging clauses” in contracts of employment, whereby would-be whistleblowers stood to lose severance pay or benefits as a result of speaking out, were effectively abolished. Mr Hunt has claimed that a new “culture of openness” is spreading through the NHS, with hundreds of whistleblowers reporting instances of poor care every month. We hope that Mr Hunt is right. But there is one more important way in which he can establish the message that no one will be made to pay for doing the right thing. As we reported yesterday, a group of six whistleblowers, whose activities predate the new era of NHS glasnost, are asking for their cases to be reviewed. They have written to the new head of NHS England, Simon Stevens, to request a fresh investigation into the way they were treated by their employers when their whistleblowing became known. That some extraordinary injustices have been meted out to past whistleblowers was indicated last month by the case of Dr Raj Mattu. Dr Mattu, a cardiologist, drew attention to overcrowding at Walsgrave hospital in Coventry in 2001. Subsequently he found himself accused of a long series of unrelated misdemeanours and was dismissed. But after 12 years and millions of pounds spent in legal fees, an employment tribunal has found in Dr Mattu’s favour. He will shortly meet Mr Stevens to discuss what can only be described as his “ordeal”. We may not presume that each of the six whistleblowers, all of them subjected to disciplinary measures of some sort, has been similarly wronged. But it does, at the very least, seem quite likely that some of them have lost jobs, pensions and peace of mind as a direct result of acting in the public interest. Already a number of MPs of all parties have supported a review. This newspaper backs that call. We do so partly because there may well have been injustices in the past and, if that is the case, justice demands there is some form of compensation to those affected. But a more pressing reason for the review would be to send a message of encouragement to whistleblowers of the future. It is they who can expose wrongdoing and save lives in the NHS, and we should all support that. Before Sharmila Chowdhury leaves her house each day, she puts on her wig and make-up. The ravages of her chemotherapy, however, are among the least of the radiographer’s worries. For 27 years she worked her way up through the NHS in London, rising to become the manager of the imaging services department at Ealing Hospital NHS Trust. She was liked and respected and happy in her work. Then the day came when she noticed that something was allegedly wrong in some of her colleagues’ timesheets. In 2007 she claimed that two doctors had been claiming for shifts at Ealing while they were moonlighting at a private hospital in Harrow. It was then alleged that the trust had lost £250,000 of public money through similar arrangements. She complained, but nothing happened at first. Then she walked into the nightmare world of the NHS whistleblower. After a series of fraud claims against her that were never proven, she was suspended and marched out of the building in front of her staff. She won the subsequent interim relief tribunal in 2010, but the trust would not take her back. “Despite winning a hearing in which I was proven to be a whistleblower, I’ve no job and no money,” she said. 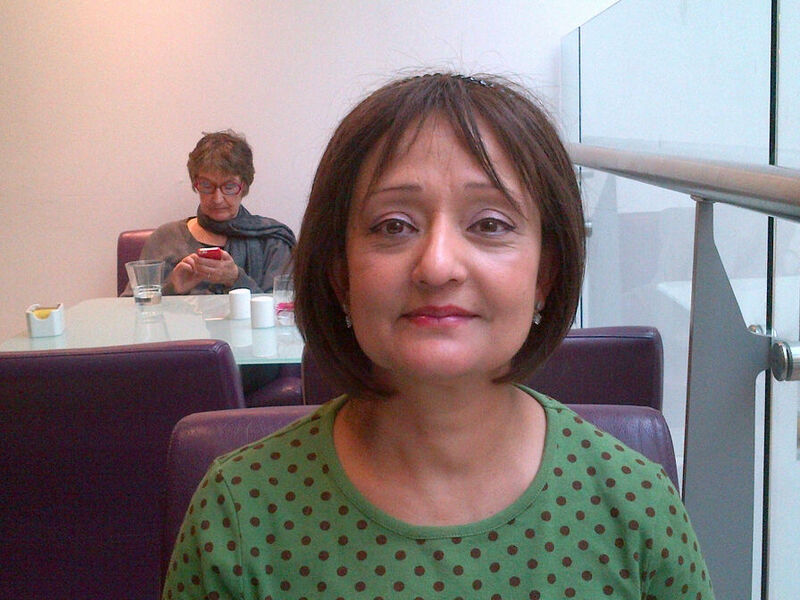 Last July Mrs Chowdhury, 54, went into a clinic for a routine scan and it was found she had breast cancer that had spread to her lungs. She said that a number of consultants had told her it was likely to be linked to the stress caused by the struggle over her job. Mrs Chowdhury, a widow, now stands to lose her house at the end of a tree-lined terrace in west London. For several years she has barely been able to keep up with the interest payments on her mortgage and now, as the last of her savings drain out of her account, she is worried that even these may prove too much. She is also looking after her 23-year-old son, who is a student. She has applied for several posts in the health service since leaving Ealing. Sometimes she succeeds, even after telling her interviewer that she is a whistleblower. Then her papers arrive at HR and the jobs melt away. In the course of her battle against the trust, Mrs Chowdhury has incurred more than £130,000 in legal fees. The judge in her employment tribunal ordered her former managers to reinstate her full salary for two years, but that was two years ago. She has a wish list for Jeremy Hunt, the health secretary. First is an independent and public investigation into her case and the concerns she raised. Second is a job, or if not a job then a secure income and pension contributions until she retires. She has called for a public inquiry into NHS whistleblowing and for the senior managers who hound their staff out for raising concerns to become accountable. If possible, she wants other whistleblowers to be found jobs of the same standing — and if not, then for them to be paid until they retire. Mrs Chowdhury is in regular contact with one of Mr Hunt’s special advisers and is optimistic that her concerns will be heard. Then again, she is optimistic about most things in her life. Angie Bray, Mrs Chowdhury’s MP, said that she and others in her situation needed an avenue to justice. “I think that Sharmila deserves all the support she can get,” she said. “I would agree with re-examining cases where the individual involved in dealing with the whistleblower unsatisfactorily continues to be in authority in the NHS, and in short those who fail to address concerns raised by whistleblowers, who are continuing to work within the NHS, should face further questions. Dr Drew said that it was “no response at all”. He added: “The government and department of health have no answer to the large number of other whistleblowers who have been defeated by employment law and left to rot. The DoH has no interest in getting justice for frontline staff who have done the right thing [or] to learn the lessons of our cases. The new head of the NHS is to meet one of the country’s most prominent whistleblowers who has won a decade-long fight to clear his name. Raj Mattu, one of Britain’s leading heart doctors before he was suspended by his NHS trust after raising concerns about deaths on his ward, was found to have been unfairly dismissed in a landmark employment tribunal last week. His case became a cause célèbre after officials at the University Hospitals Coventry and Warwickshire NHS Trust fought a 12-year legal and public relations battle to gag him at a reported cost of between £6 million and £10 million. Dr Mattu, 54, said that Simon Stevens, who became the chief executive of NHS England earlier this month and pledged radical, patient-centred reforms, has arranged to meet him to discuss the way the health service handles whistleblowing. He said that he would show Mr Stevens how NHS officials tried to squash dissent, and that he would press for a panel of whistleblowers to be consulted about any changes to the system. He accused NHS officials of compiling dossiers of allegations against whistleblowers so their claims would be lost at an employment tribunal, and said neither he nor the nurses who raised complaints about overcrowding in the Walsgrave Hospital, Coventry, had ever been interviewed about it. 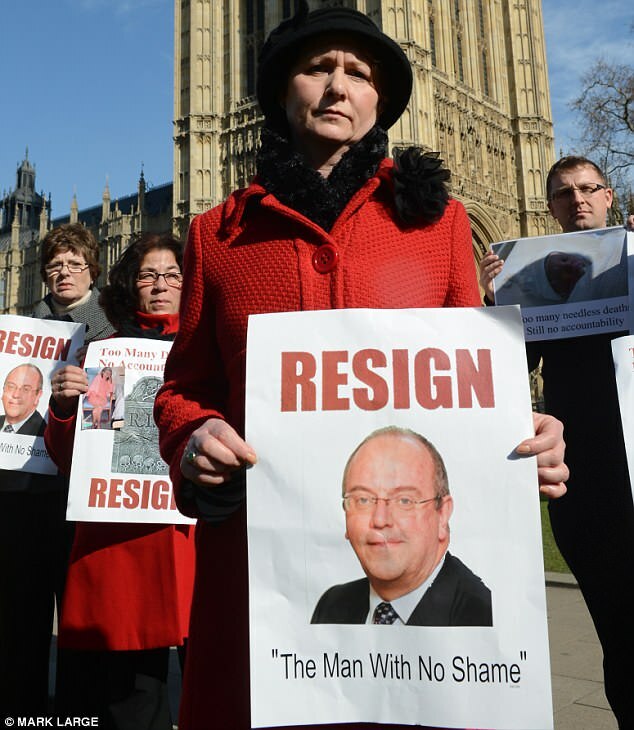 It has also emerged that Sir David Nicholson, the previous head of NHS England, dismissed concerns about Dr Mattu’s whistleblowing as an “employment matter” in 2010. In a letter seen by The Times, Sir David wrote to another NHS whistleblower in the West Midlands, Dr Rita Pal, saying that the Department of Health would not intervene. “While I note the concerns you have expressed, this is an employment matter between Dr Mattu and the University Hospitals of Coventry and Warwickshire NHS Trust, and as such it would not be appropriate for the department to comment or become involved,” he wrote. Dr Mattu has also approached Jeremy Hunt, the health secretary, for a meeting, but has yet to receive a reply. The cardiologist said that his career had been “destroyed” after he moved from a research post in London to work in Coventry, his home town. Before the move, he had published a much-cited article on a genetic trait among people in Caerphilly that reduced the risk of heart disease by more than a quarter. In December 1999 he warned staff at the Walsgrave Hospital in Coventry that a policy of putting five heart patients in four-bed bays had prevented essential equipment being used to save the life of a 35-year-old man. He made his worries public in 2001 after the trust’s chief executive told the media that the policy was not causing unnecessary deaths, and he was suspended six months later. The trust brought more than 200 allegations against him, including bullying, fraud and sexual impropriety, all of which were dismissed by the General Medical Council. Friends of the heart doctor said the trust had also hired a PR team and private detectives in their campaign against his reinstatement. He was restored to his job in 2010, but dismissed a year later while being treated for a debilitating auto-immune disease affecting his liver and lungs. A whistleblower at the centre of an NHS nepotism scandal has said she must be offered her job back to show that the health service is truly welcoming of those who raise concerns about wrongdoing. Penny Gates and Clare Sardari are still out of work after taking on a hospital chief who barred them from other jobs in the NHS. Ms Sardari said fighting the case was “the most awful time of my life” and that she had lost her identity along with her job, but she insisted she would do the same again, urging other whistleblowers to come forward. They spoke to The Times after a tribunal found that hospital bosses tried to force them to stay silent and covered up an internal report to protect the chief executive of South Devon Healthcare NHS Trust, Paula Vasco-Knight, who is also a national spokeswoman for equality and diversity. Last night a meeting was held to consider her position but failed to reach a decision. It will reconvene next Wednesday. Dr Vasco-Knight was accused of hiring her daughter’s boyfriend, Nick Schenk, for a role for which he had little experience, without admitting the connection. An employment tribunal found that she ought to have disclosed the relationship and failure to do so breached the NHS managers’ code of conduct and her “duty of good faith to her employer”. The hospital “adopted an astonishing course of action which in our unanimous view amounted to a dishonest attempt to suppress the findings” of a critical internal review. Mrs Gates said yesterday that she had thought about raising her concerns after Dr Vasco-Knight and Mr Schenk took time off together. “We put two and two together and realised this gentleman went to Paula’s daughter’s graduation. I went to see my line manager and said, ‘I’m absolutely horrified’. And she said she knew. I thought, ‘Goodness, I don’t know what to do’. The manager, Adrienne Murphy, warned the pair that they would lose their jobs “through dirty means” if they did not keep quiet, the tribunal heard. 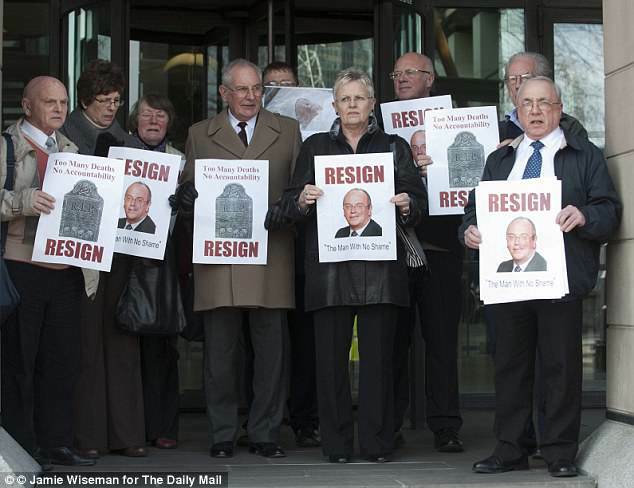 Eventually both took sick leave, before resigning when hospital bosses refused to let them return. “I’d never been off sick at all before so to be signed off with acute anxiety was distressing in itself,” Mrs Gates said. If Dr Vasco-Knight leaves, Mrs Gates is open to returning. “You go through what Clare and I have gone through and you get your job back — that would be a superb message to whistleblowers. Leading figures joined calls last night for the government to review past cases and pay compensation for legal fees and lost income running to hundreds of thousands of pounds each. Such a move could open the floodgates to retrospective claims. Charlotte Leslie, a Tory member of the health select committee, accused NHS directors of victimising whistleblowers. “The precedent that has been set is that if you raise patient-safety concerns you can lose your career and your reputation. While these historic cases are still unaddressed there will be a feeling that no one can raise concerns with any safety at all,” she said. Ann Clwyd, a Welsh Labour MP who co-wrote a report on the NHS complaints system last year after her husband died in a Cardiff hospital, said that injustice had been done. “I would obviously support them looking at it afresh,” she added. Patients First, a group representing nurses, doctors and other NHS staff who blew the whistle, said that it wanted to see historical cases reinvestigated and a judge-led inquiry set up by the government. Jennie Fecitt, its spokeswoman who was dismissed as a nurse after warning her managers that a colleague was unqualified, said it was time for the health service to stop “shooting the messenger”. Mr Stevens, who took over as chief executive of NHS England last month, has spoken to several whistleblowers and arranged to meet Raj Mattu, a heart doctor whose victory in an employment tribunal has renewed hopes of a change of culture. The government has brought in Helene Donnelly, a nurse who made almost 100 complaints about the treatment of patients at Stafford Hospital, as a senior adviser to the NHS. A new phoneline has been set up for whistleblowers. 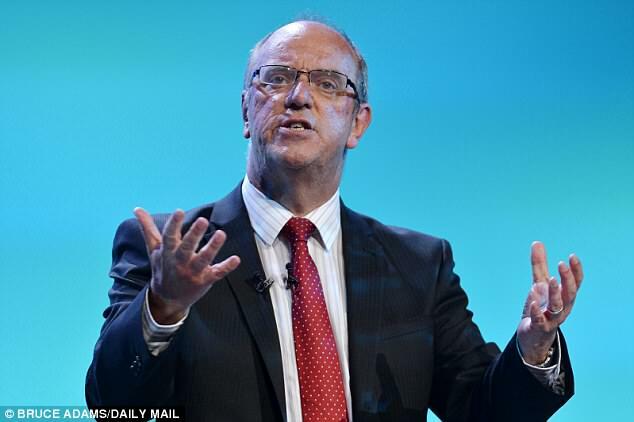 However, David Drew, a paediatrician who was sacked from Walsall Manor Hospital after warning that patients were being put at risk, said that there was “political resistance” to understanding why NHS trusts tended to push whistleblowers into employment tribunals rather than taking their complaints seriously. Narinder Kapur, a distinguished brain doctor who lost his job as head of neuropsychology at Addenbrooke’s Hospital in Cambridge after whistleblowing, called for English whistleblowers to be moved to another job in the NHS if they are sacked, as happens in Wales. The Department of Health said that it was “absolutely clear that NHS staff who have the courage and integrity to speak out in the interests of patient safety must be protected and listened to”, but it was still considering the whistleblowers’ request.